Integrating neglected communities. Preserving the tradition of indigenous textiles, valuation of indigenous women and their emotional independence - economic. Valuing women artisans, the importance of their costumes for our culture, it is they and their dresses were known. Our Heritage. 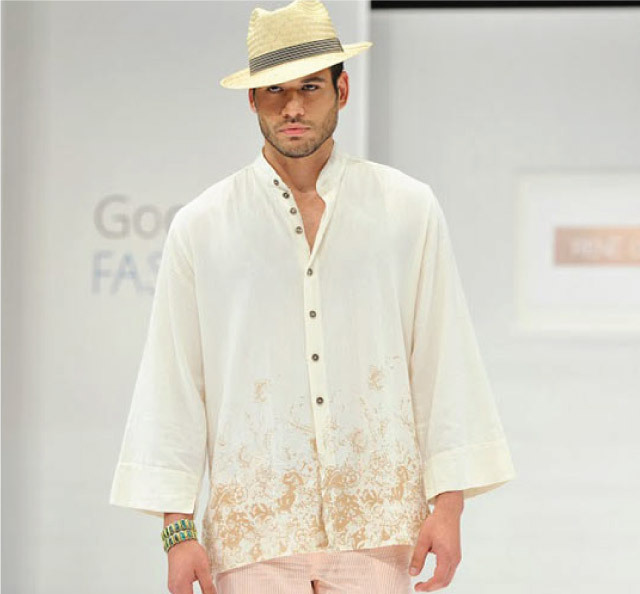 The Indian textiles speak the mentality of some of Mexico, where the tradition of creating beauty is exercised every day "
The collections that the brand generates Rene Orozco, always intended to be contemporary, fresh, dynamic, energetic and mostly male. For us fashion is content rather than form, it is for this reason that textiles are the most important part of which we start in each of our garments. Textiles Brito has been a great ally in the pursuit of all these concepts. His emphasis on experiment and generate new technologies and solutions speak of concern, issues that every company that is said today, should never forget. "MILA is a clothing brand designed for women to dress a relaxed, natural fibers that appreciates and values the richness of craftsmanship applied to textiles. Since 2013, MILA working with cotton fabrics and bamboo made by BRITO TEXTILES, with which, collections have been developed that have arisen in Mexico and abroad, in countries like France, Canada, Holland and Spain. The fabrics made by BRITO TEXTILES, have been a big feature on the clothes of the brand, as harmoniously complement the natural values of the same. "